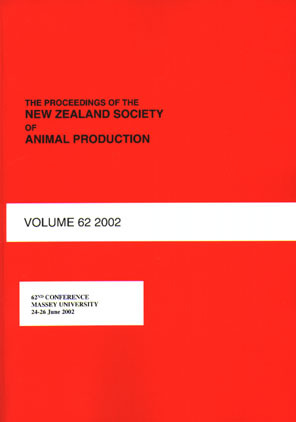 In New Zealand, selection of both replacement females and sires based on performance is typically highly rudimentary in multiplier and commercial flocks. Selection of ewes and rams in these tiers is frequently driven by soundness and overall condition of selected animals and sometimes, based on whether or not the replacement candidate was born in a multiple litter. In breeder flocks, selection is usually supported by knowledge of the genetic merit of candidates. In multi-tiered breeding schemes, genetic progress is disseminated from the nucleus to the commercial tier through the transfer of males. Gene-flow principles can be applied in the optimization of multi-tiered breeding schemes, particularly to define the proportion of genetic superiority expressed in an individual, which also gets expressed in its descendants, in time, across tiers. The opportunity to increase the rate of progress and reduce the genetic lag between tiers in integrated production systems might be exploited by selecting candidates from which performance of the progeny can be predicted. The results of this simulation study demonstrate the long time delays of up to 25 years for genetic expressions to fully flow through a multiple-tiered breeding scheme. There was long time delay before genetic progress realised in the nucleus was achieved in the commercial flocks. For example, it was approximately fourteen years until 70% of benefits of genetic improvement in lambing and slaughter traits were captured in the commercial flocks. This delay was mitigated when performance recording was implemented in the multiplier flock. This gain however, does not have the permanent and cumulative properties of genetic progress achieved in the nucleus flock, and so needs to be continued each year for the benefits to be maintained.